This week's episode is an encouraging word for those that want to succeed in the trades or their careers. Last week was labeled as "Honoring Women in Construction Week ". I did an interview with Ashley Rayburn, a young woman in her 4th year of the Electrical Apprenticeship program. It was an honor for me that she was able to take a few minutes to share her ideas of how to succeed in the trades. I hope that this interview will show how you can work to achieve your goals. Education is something that we should never stop doing. Just because you go to college and get a diploma does not mean that you have arrived; and just because you have not gone to college does not mean you cannot be successful. Receiving a good education is not about just going to college, as you will hear during this interview with Ashley. Most of all you will be surprised at the actual cost of her education. So enjoy this week's episode: Number 81 "Learning to Succeed". If you want to get a Tradesman license in your state, renew your Tradesman license ,or even take a course on how to pass the Tradesman license or Contractors license in your state than go to www.surgingforward.com to find out more info. If you do not see what you need, drop us an email on the contacts page of on Facebook. 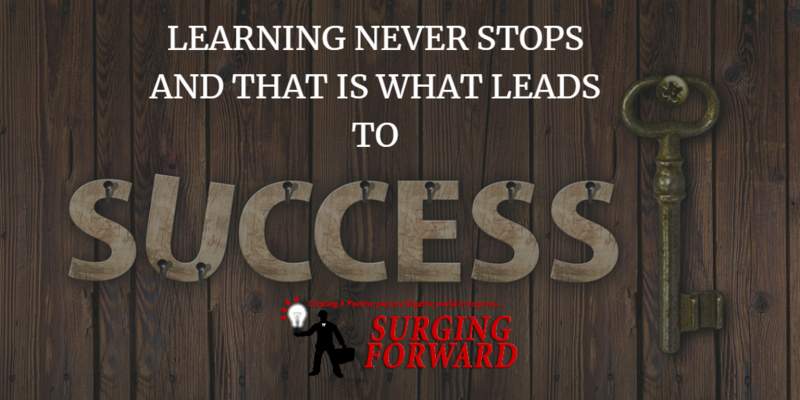 We are here to help you to keep Surging Forward Until next week keep Surging Forward. 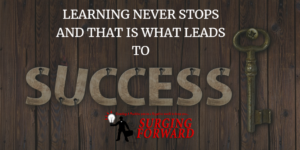 If you enjoy this podcast, please feel free to leave a comment below, share with a friend and also visit our Facebook page at https://www.facebook.com/SurgingForward/ We also have a You Tube page where you can watch the actual podcast; visit us at https://www.youtube.com/user/surgingforward Looking to network and get personal training visit us and like us on facebook click here Connect with me on Linkedin Follow us on twitter click here Follow us on Instagram. Contractor and Tradesman Courses to help you Get and Retain your Tradesman License; visit our website at www.surgingforward.com ________________.